Dr. Weis graduated from Cornell University College of Veterinary Medicine in 1996 and has since been in small animal practice, first in Virginia and then in Bucks County. Dr. Weis and his wife, Dr. Laura Weis, bought Doylestown Veterinary Hospital, formerly Animal Clinic Doylestown, in 2002. His particular interests include surgery, endocrinology, and the rapidly evolving science connecting diet, the gut biome and health. Dr. Weis completed his undergraduate degrees with majors in biology, chemistry, and mathematics at Dickinson College in 1977. Before attending veterinary school, he worked as a teacher. He enjoys skiing, working on his older farm house and spending time with his wife and sons. Dr. Weis graduated from the Virginia-Maryland Regional College of Veterinary Medicine in 1998 with the highest combined standing in both clinical and classroom work. She then moved to Bucks County and has worked since that time in small animal medicine and surgery. 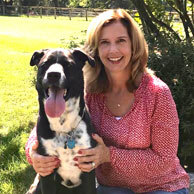 Dr. Weis’s medical practice is limited to homeopathy and nutrition, and she continues to add holistic modalities to the offerings at Doylestown Veterinary Hospital & Holistic Pet Care. She is also passionate about human nutrition and enjoys tending her chickens, bees, and goats. Dr. Weis lives with her husband, Dr. Randy Weis, their three boys, three cats, and three dogs—a French Bulldog and two Maremmas. Dr. Palin is a 1991 graduate of the University of Pennsylvania, School of Veterinary Medicine. She graduated with honors from the College of Wooster with a B.A. in chemistry in 1987. 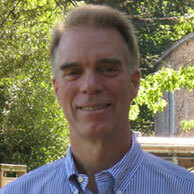 Dr. Palin has practiced veterinary medicine in Bucks County for 26 years. She joined our staff in June, 2001. Dr. Palin is dedicated to developing lasting relationships and providing the best care for her patients and their families. Dr. Palin lives in Upper Makefield with her husband, Jim, and their two beautiful children, Monica and Jimmy. Their home is complete with Tate, a Labrador retriever, George the cat, and two rescue dogs, Spud and Goldie. In her spare time, Dr. Palin enjoys paddling on a dragon boat team, skiing, and traveling with her family. Dr. David MacDonald joined our medical staff in July 2014. Originally from Eastern Canada, he is a graduate of Atlantic Veterinary College, University of Prince Edward Island. Dr. MacDonald has been practicing veterinary medicine in Pennsylvania for 18 years–visited PA for a weekend and thought it was so beautiful he decided to stay. In addition to traditional veterinary medicine, including extensive experience in surgical procedures and dental care, Dr. MacDonald blends modern medicine with the practice of Chinese herbal medicine and acupuncture to offer a fully integrative approach to pet healthcare. He believes these practices have been successful when handling cases of chronic illness where a unique solution may be the best treatment option. 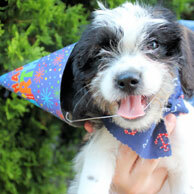 He is member of the International Veterinary Acupuncture Society. Dr. MacDonald and his wife have 2 children, Oliver and Edie-Rose, and their family includes a 10-year-old English bulldog, Dot, two cats, two Guinea pigs, two Angora rabbits, and eight chickens. 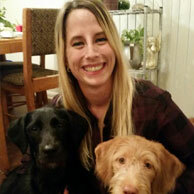 Dr. Ashlea Erk obtained her veterinary degree in 2005 from the University of Pennsylvania School of Veterinary Medicine, fulfilling her lifelong dream and goal of becoming a veterinarian. After graduation, she moved to Colorado where she worked in private practice and spent as much time as possible enjoying the outdoors with her husband. During this time she also completed training and became certified in Veterinary Acupuncture at Colorado State University. 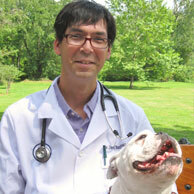 In 2011 Dr. Erk returned to Pennsylvania and has been an associate veterinarian at DVH since then. 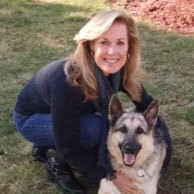 Professionally, Dr. Erk enjoys thinking holistically about veterinary wellness; integrating acupuncture, supplements, and nutrition into treatment plans; and helping pet owners to truly understand their pet’s illness so that they can choose the best diagnostic and treatment plan for their family. When not at work, Dr. Erk enjoys spending time with her husband and three young and adventurous sons; escaping into a good book (or two, or three); kayaking on a quiet lake, gardening amongst her flowers, and savoring long walks in the woods with her two high-spirited dogs, Cinco (chocolate Labrador Retriever) and Atticus (German Shorthaired Pointer). 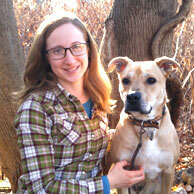 Caroline is a certified veterinary technician and joined our staff in October, 2008. She graduated from Harcum College in 1986 and completed an internship at the University of Pennsylvania Veterinary Hospital. 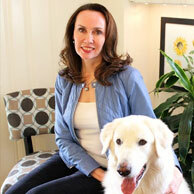 Caroline loves being in the veterinary profession and has been working in private practice for over 30 years. Caroline lives in New Britain with her husband John and their 2 children, John and Olivia. Her family also includes Yoda, a lab/shepard mix and 2 cats, Harley and Sparkles. In addition to spending time with her family, you can find her reading a good book or exercising her green thumb in the garden. 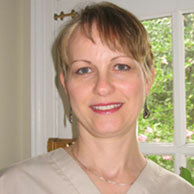 Julie started at Doylestown Veterinary Hospital in June 2012. She graduated from Manor College in 2006 with a degree in veterinary technology. 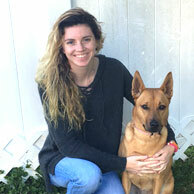 She also has a passion for dog behavior and training and has been leading dog training classes since 2007. She raised two Seeing Eye puppies and has fostered many rescue dogs and puppies over the years. Julie lives with her husband Josh, two adopted dogs Daisy and Geordi, and her adopted cat Wash. When she is not surrounded by animals—which is not often—Julie enjoys hiking, cooking, reading, and working on art projects. 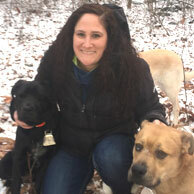 Danielle joined the Doylestown Veterinary Hospital staff in September, 2012, after being at Holiday House Pet Resort & Training Center for four years. Danielle graduated from the veterinary technician program at Penn Foster, and she studied life sciences at Penn State University. In her free time, she enjoys spending time and walking in the park with her dogs Kona, Jane, and Rufio. Her cat Sasha completes her furry family. Rhea has been with Doylestown Veterinary Hospital since 2007. She took a few years away from caring for pets in 2012 to raise her two children and returned to the hospital in 2015. Rhea has an associate’s degree in radiologic technology from Indian Valley Community College in Ogelsby, IL. She loves caring for all pets, but kittens hold a special place in her heart. Rhea’s family includes her two cats Chutney and Quincy. When she’s not at the hospital, Rhea enjoys spending time with her family, gardening or exercising. 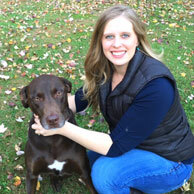 Justine joined the Doylestown Veterinary Hospital family in 2003. In 2007, she decided to take a break from working to study Veterinary Technology at Harcum College. In July 2015, Justine returned to the hospital team. She loves all aspects of veterinary medicine but providing care and comfort for the geriatric patients is what she enjoys most. Justine enjoys snowboarding, writing, and being at home with her two cats and her dog Bandit watching Netflix. Bubbie began working at Holiday House Pet Resort & Training Center in April 2014 and joined the staff at Doylestown Veterinary Hospital in April 2017. Bubbie still has part-time responsibilities at the resort, but loves providing care on a medical level which is why she wanted to work with the hospital staff. Bubbie has a Liberal Arts degree from Bucks County Community College. She enjoys photography, especially taking photos of pets and nature. Bubbie’s dog Dakota is a rescue mutt which she said a DNA test showed is a loving mix of shepard, husky, pitbull and chow. Lora Leone joined the DVH staff as business manager in September 2013 after managing front desk operations for Holiday House Pet Resort & Training Center. Her business experience includes running a successful trucking company with her husband for the last 30 years. 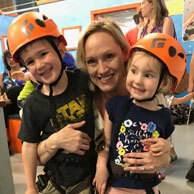 When she’s not working diligently to manage two businesses, Lora shares a passion for physical fitness with her two adult daughters by running in races and participating in Spartan obstacle racing. She completed the “mother of all Spartan races”—The Beast Race in Killington, VT. She also loves taking quiet walks through Tyler State Park with Ash, the family’s German Shepard. Lora lives in Bucks County with her husband of 33 years. Rachael joined the veterinary staff in early 2015. She has always worked in a customer service position because she enjoys making people happy and loves helping animals. Being at DVH gives Rachael the opportunity to do both! She added that one of the best things about coming to work is her coworkers, saying they are the “most genuinely good-hearted people she has ever met.” Rachael is the proud parent of two labradoodle girls, Jewel and Charlie, who love peanut butter treats and playing all day. Rachael has a degree in business management, and in her free time enjoys spending time outside or working on an arts and craft project.